Most photos were taken by Lewis F. Russell. Other photographers will be identified when necessary. 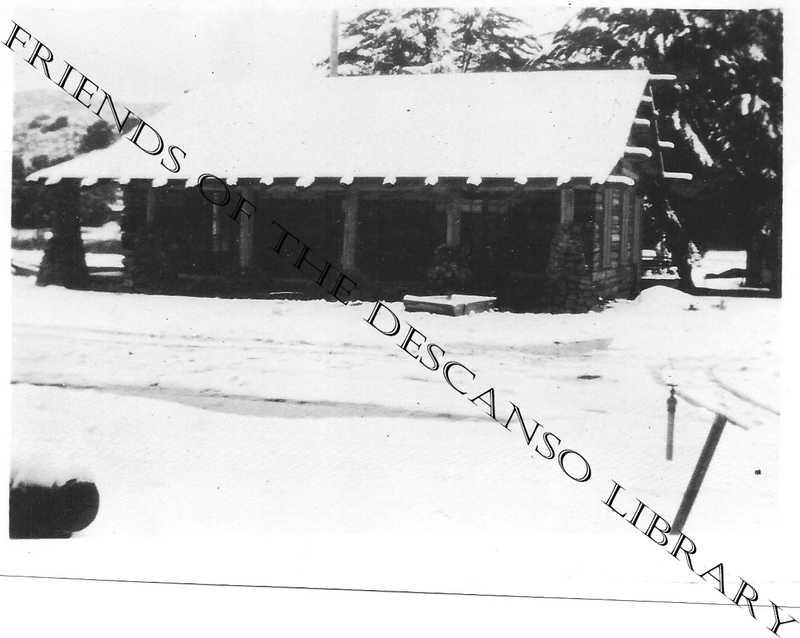 These historical Descanso Americana photographs are matted and framed. Check at the small bookstore for availability. Cora-Frank Russell on the left at Laguna Lake, Nov 1918. The lake still exists, but has mainly been dry for the last few drought years. Lake Morina Dam, 1918. This is the catwalk to the dam at Lake Morina in the Campo area of San Diego County. 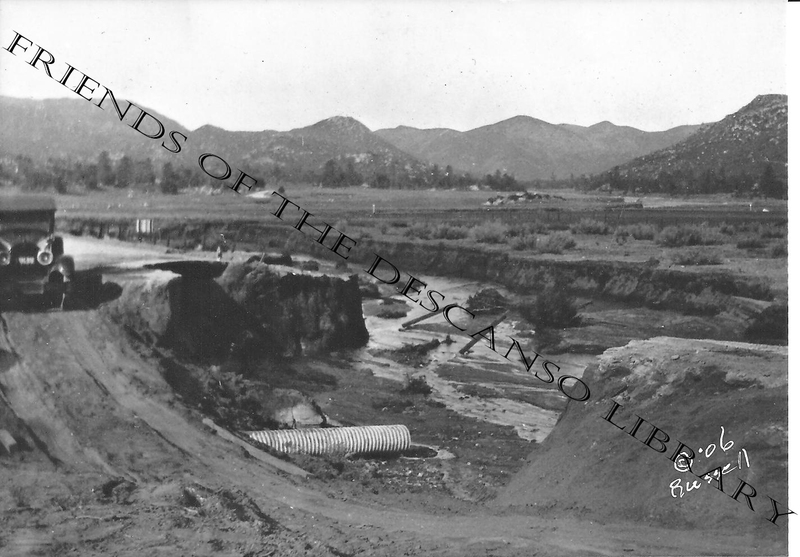 The dam is part of the San Diego City water system. 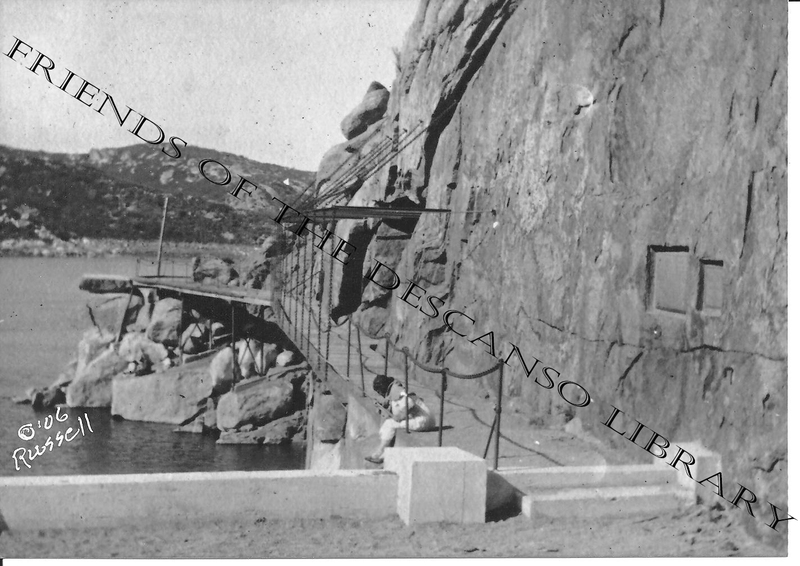 Other pictures of the dam are available. This lake was filled by Hatfield ("The Rainmaker") in 1914. 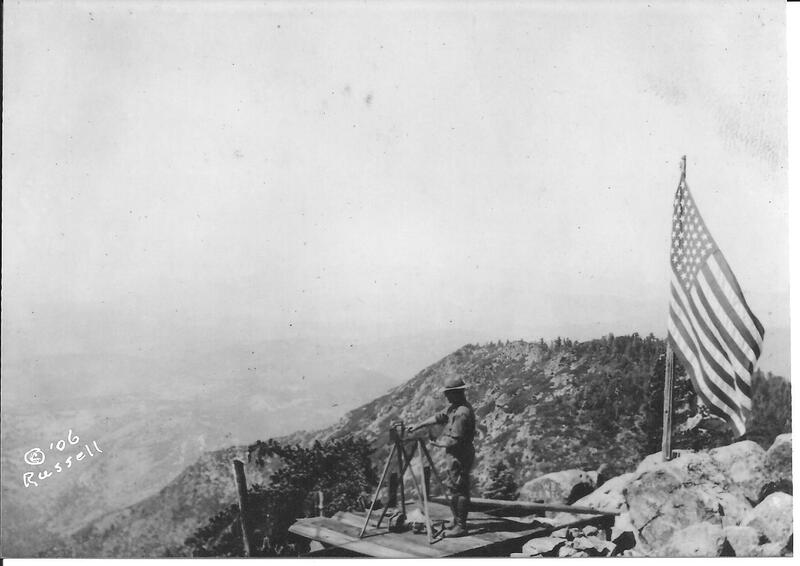 Heliograph Station for the Cuyamaca Lookout of the U.S. Forest Service in the Cuyamaca National Forest Service (USFS). 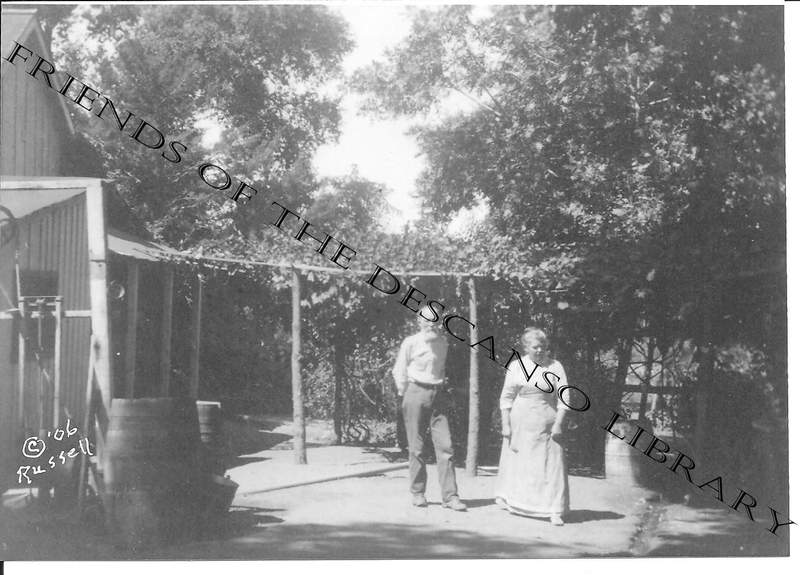 This is the lookout talking to Billy Ryan at Descanso Junction on old Highway 80 in 1921. 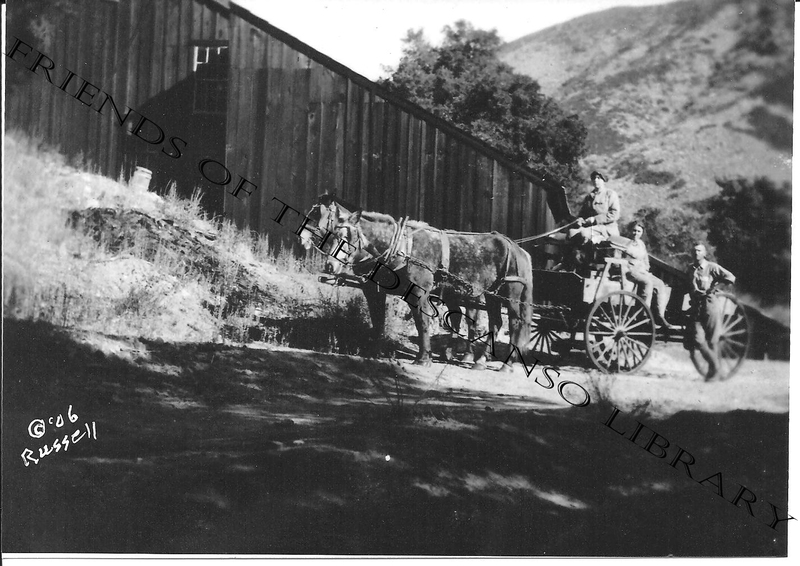 Other pictures relating to lookouts, the USFS, or the California Division of Forestry. 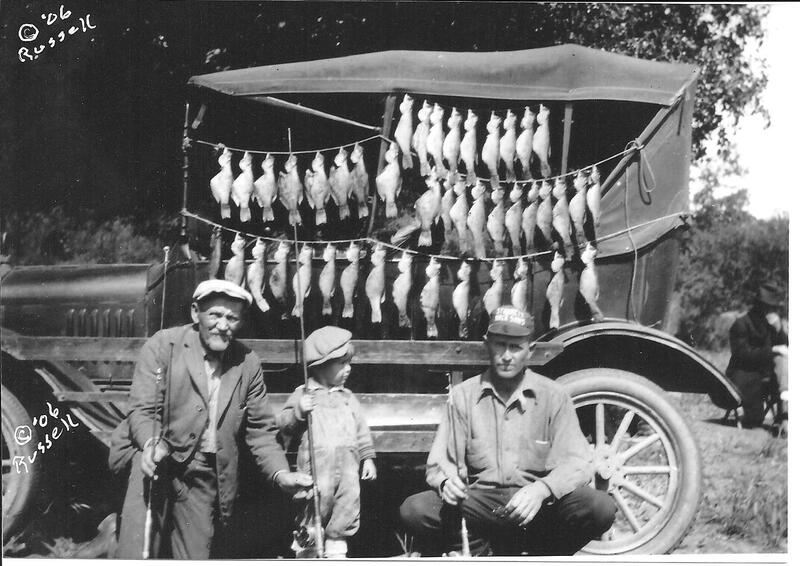 The Black Bass Catch at Lake Morina, 1923. Many other pictures of the same subject are available. Left to right, Mr. Heckler, Don Russell, Lewis F. Russell. 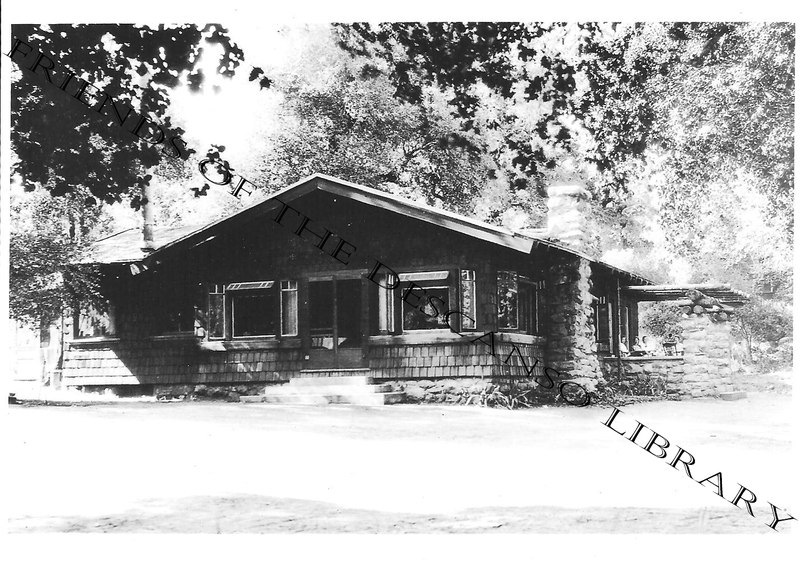 Flynn Ranch May 1923. 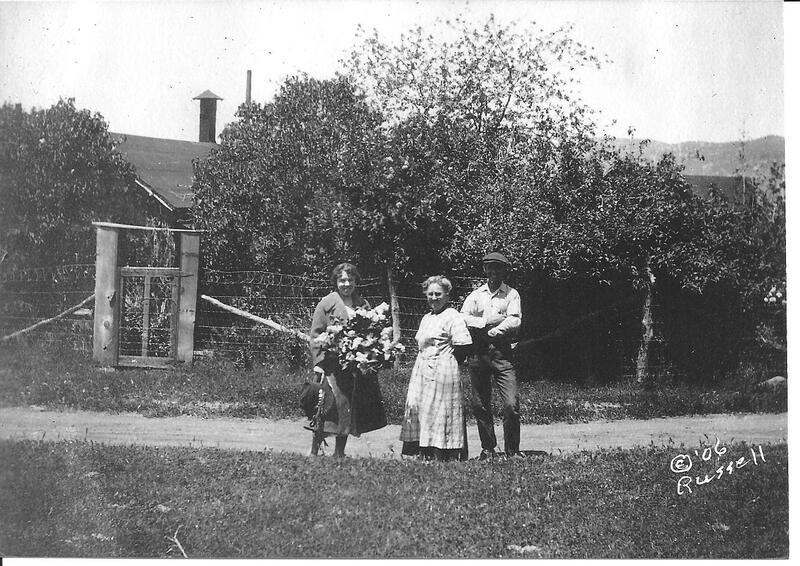 Left to Right, Cora Russell, Mrs. Flynn, Mr Flynn at their ranch on Japatul Valley Road. 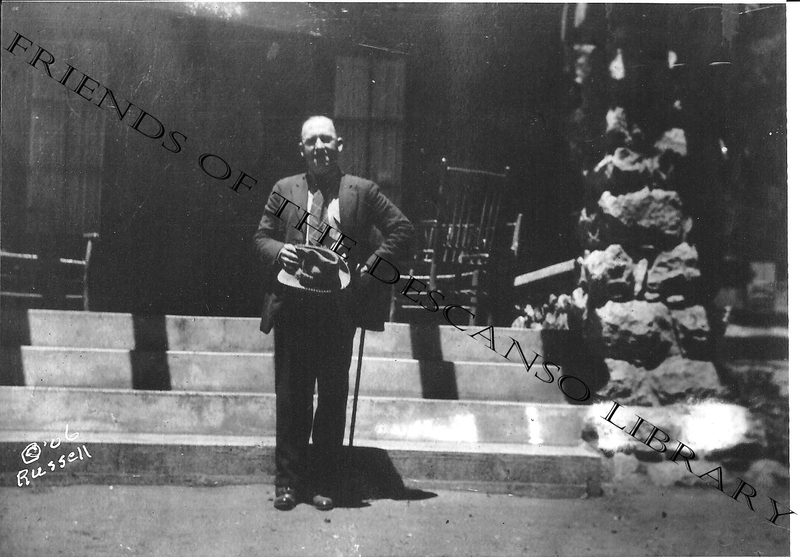 Jim Dorey on the steps of the Hulburd Grove Guest Ranch, 1925. Jim, at this time, is owner of what will later be Perkin's Store. 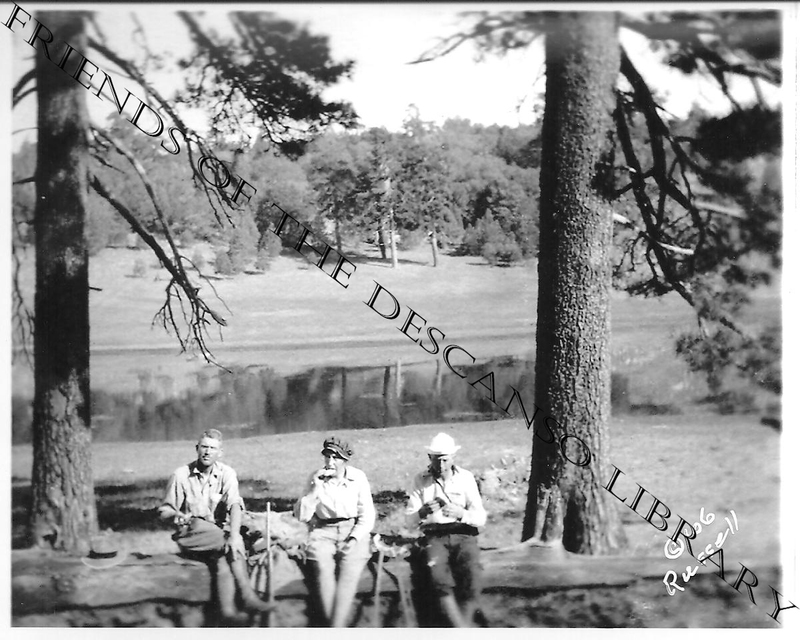 During the early 1900's the Hulburd Grove Guest Ranch was what today would be classed as a five-star destination resort. Other Pictures of the resort are available. 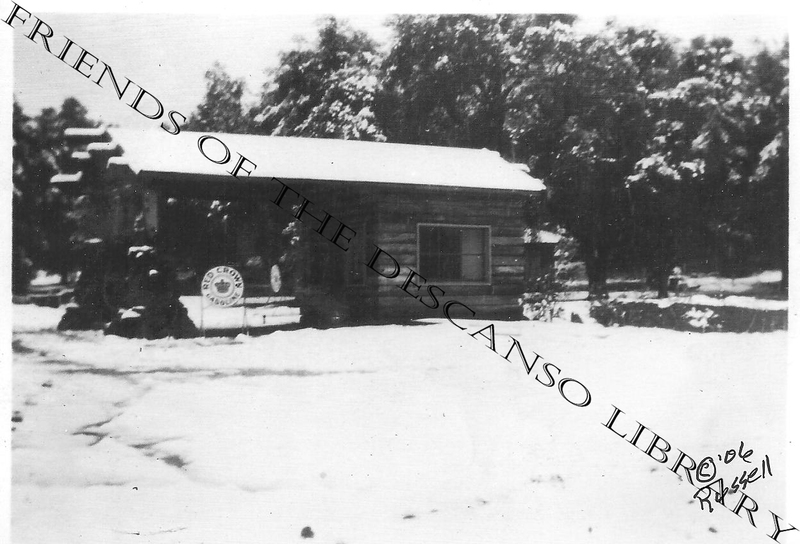 Hulburd Grove gas station, 1923. The 1927 Flood. This fallen oak was said to be surveyed by U.C. as one of the largest in southern California at the time. 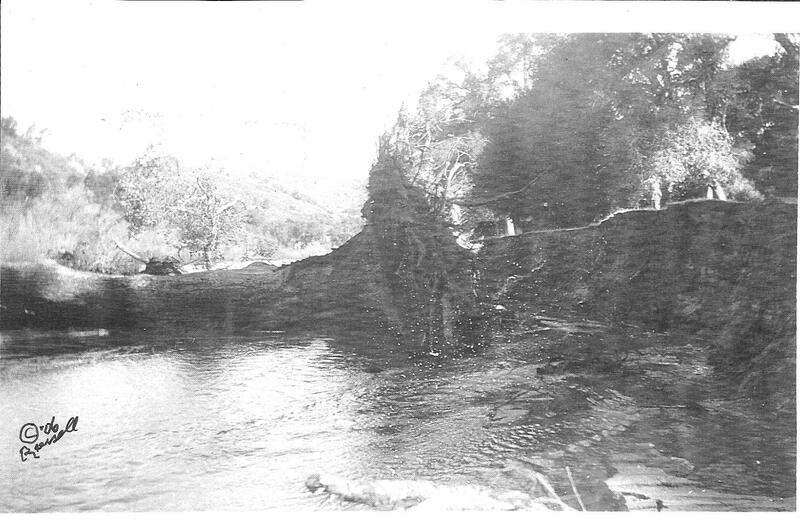 It was beside the Sweetwater River and came down during the flood in February, 1927. A photo of the standing oak is also available. 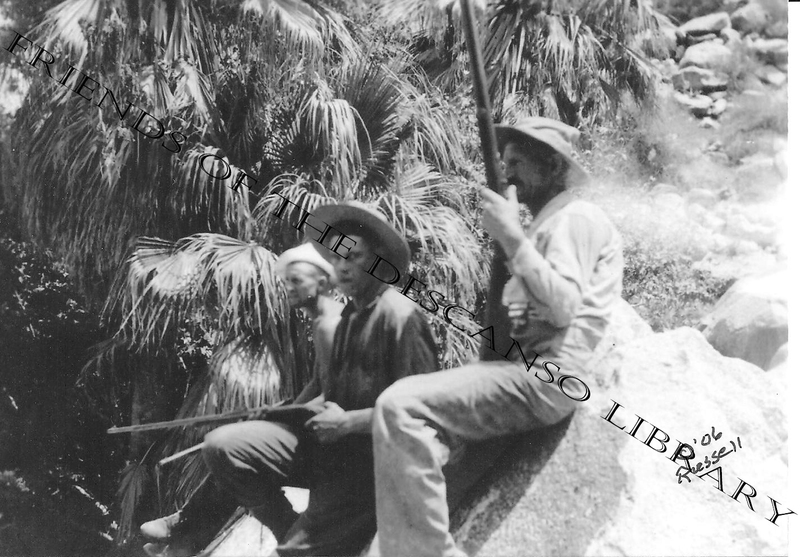 Lion Hunting in 'Hell Hole' canyon, south of Palm Canyon in what will later become the Anza Borrego State Park, 1918. The hunt was unsuccessful! Carl Brenner was an ex-ranger for the U.S. Forest service, Descanso District, Cleveland National Forest. 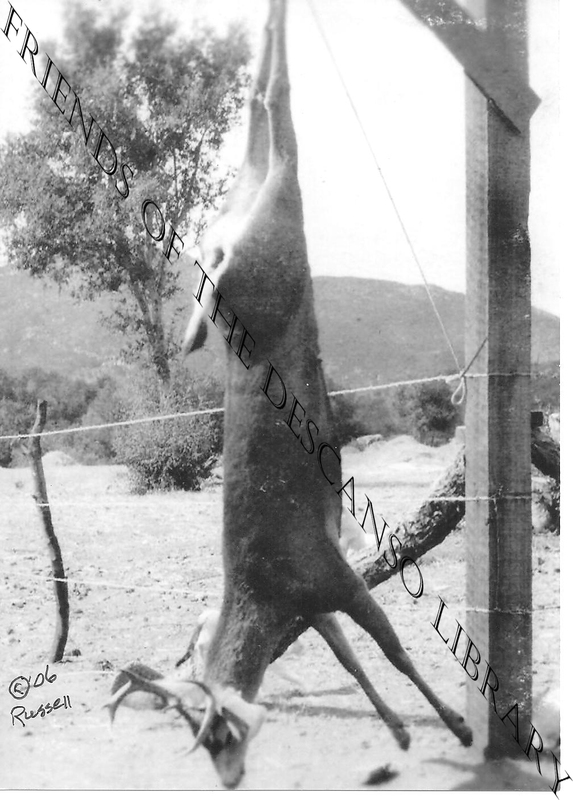 He was a great hunter and this is one he bagged. 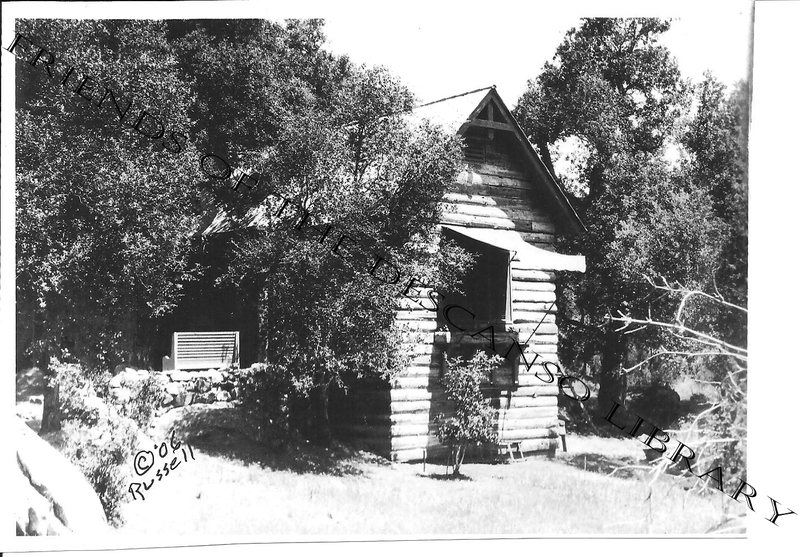 Loomis Cabin This cabin is one of the original cabins built on Tanglewood Lane (now River Road.) It is reputed to be the place where Loomis wrote his famous western. 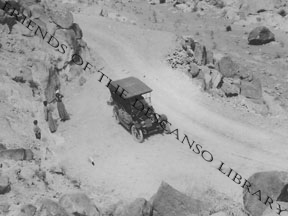 Mountain Springs Grade, June 11, 1920 The grade is now East of Jacumba on Interstate Hwy. 8. Noble Mine, November 12, 1917. Cora Russell 'up' (colloquial: driving) the wagon. The mine was located in Pine Creek, north of present day Pine Valley. It was a producing gold mine and the actual location is now lost.